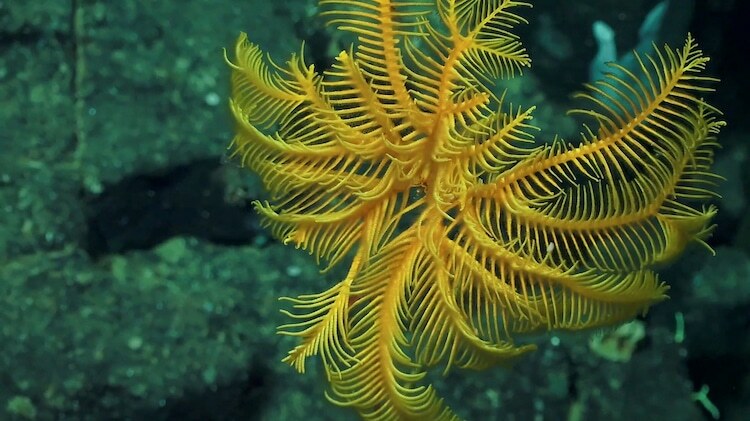 A bright golden stalked crinoid. 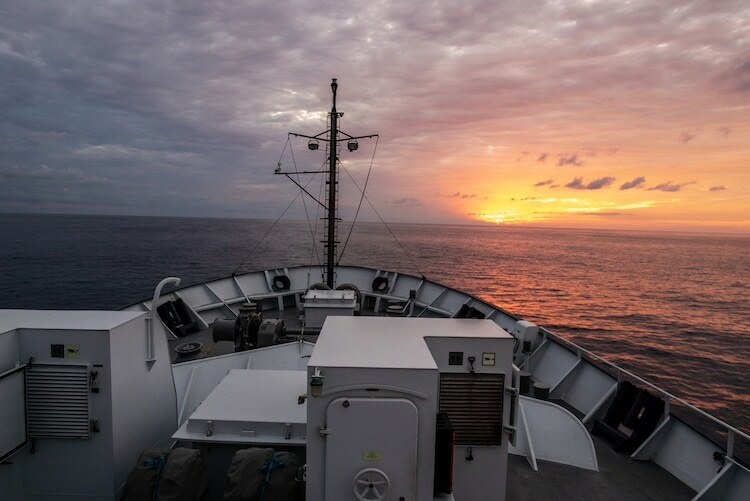 Over the course of three weeks, a team of scientists aboard the Schmidt Ocean Institute’s research vessel Falkor explored the deep sea seamounts of Costa Rica. Spending their time in the waters outside Isla del Coco National Park, they marveled at the diverse ecosystems and discovered several new species. Now, the researchers are hoping that their findings will allow them to understand more about how these seamounts provide an essential animal corridor. Isla del Coco, or Cocos Island, is a UNESCO World Heritage Site surrounded by deep water and has a marine ecosystem unlike any other island in the region. Using remotely operated vehicles, 19 dives were conducted to explore the deep sea, with some of the dives going thousands of meters deep. The findings were shocking, for both good and bad reasons. The scientists, who were led by Dr. Erik Cordes of Temple University, focused on marine life of all sizes—from tiny microbes to fish and coral. 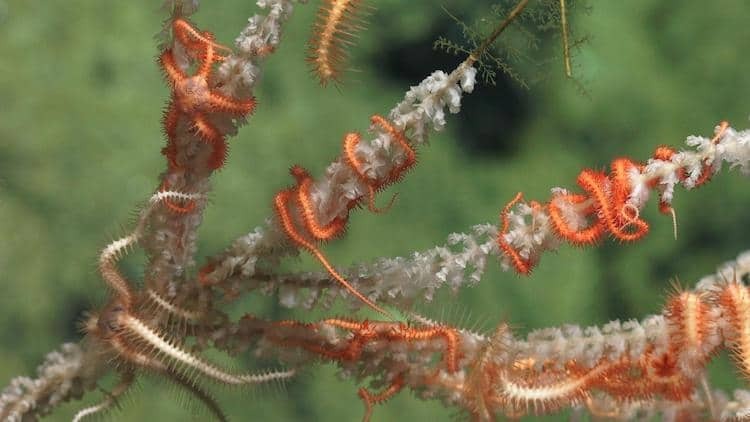 Over the course of their dives, they discovered at least four new species of deep-sea coral and six other animals new to science. By surveying these seamounts for the first time, the researchers will learn much more about the coral communities hosted there and how to protect them from potential harm. The images they brought back are a fascinating look at the thriving diversity of life that exists far below the surface of the sea. Among the discoveries was a piece of black coral that was about 2 meters (6.5 feet) tall, which leads scientists to believe that it’s about 1,000 years old. 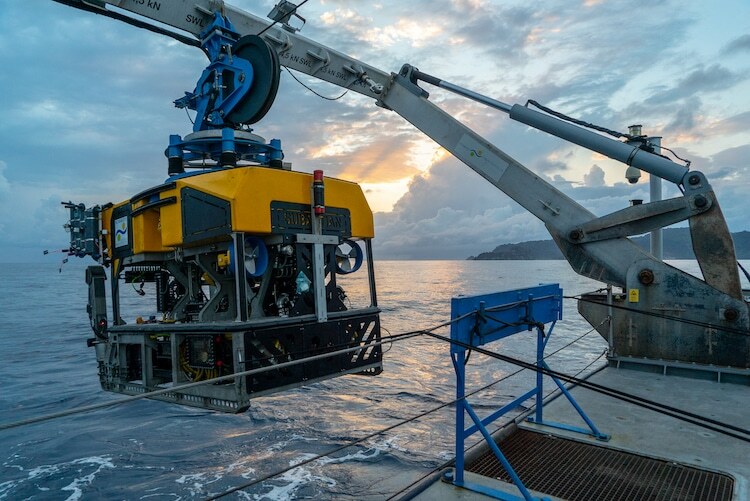 ROV SuBastian is deployed in the waters of Cocos Island National Park and UNESCO World Heritage Site. Unfortunately, one of their finds shows that humans are already making their mark on the ecosystem. 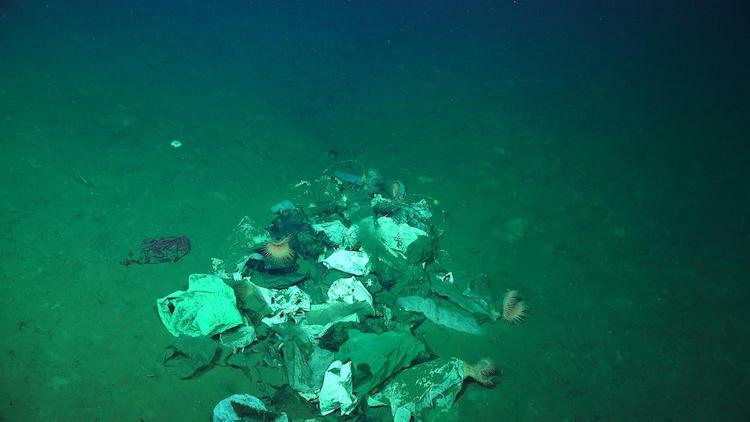 During their deepest remote dive at 3,600 meters (over 2 miles), they discovered a large pile of human trash. 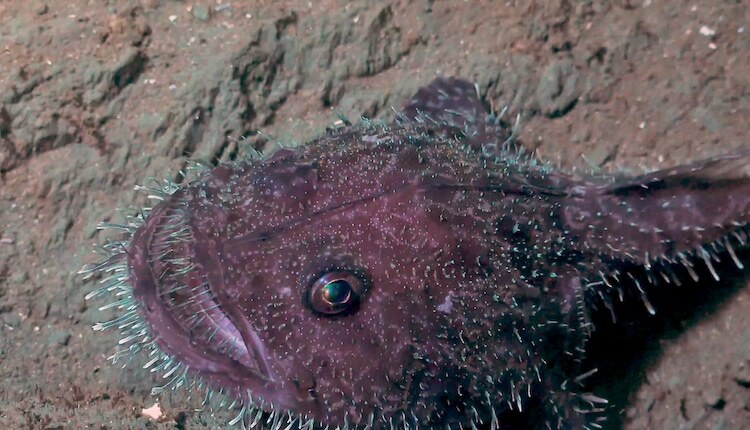 As threats to seamount communities increase due to the fishing and energy industries, researchers are working faster than ever to analyze and implement measures to save these vulnerable organisms. The Schmidt Ocean Institute’s Falkor research vessel spent three weeks exploring deep sea seamounts off the Cocos Island in Costa Rica. Sunset over R/V Falkor’s bow. 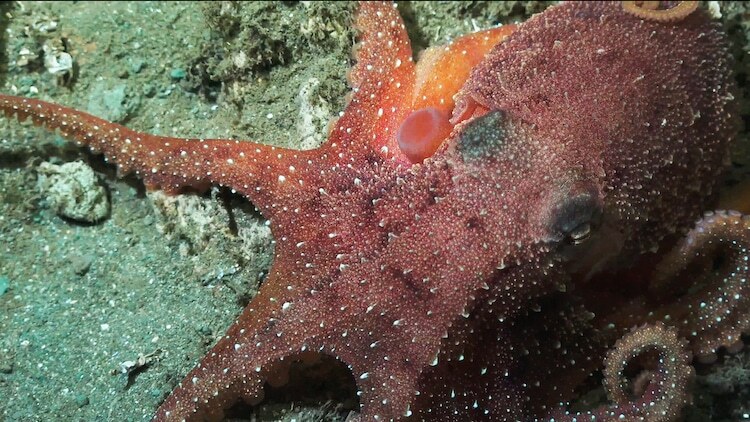 They discovered at least four new species of deep-sea coral and six other animals new to science. Black coral measuring about 2 meters (6.5 feet) tall. The coral could be about 1,000 years old. 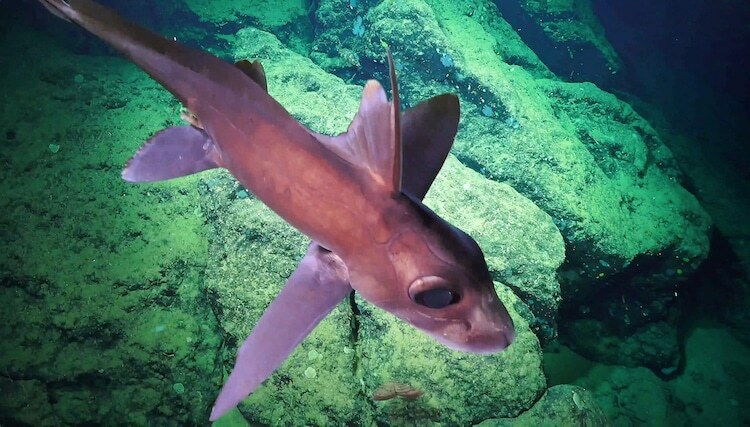 Chimaeras are cartilaginous fish, largely confined to deep water. Their closest living relatives are sharks, though their last common ancestor with sharks lived nearly 400 million years ago. 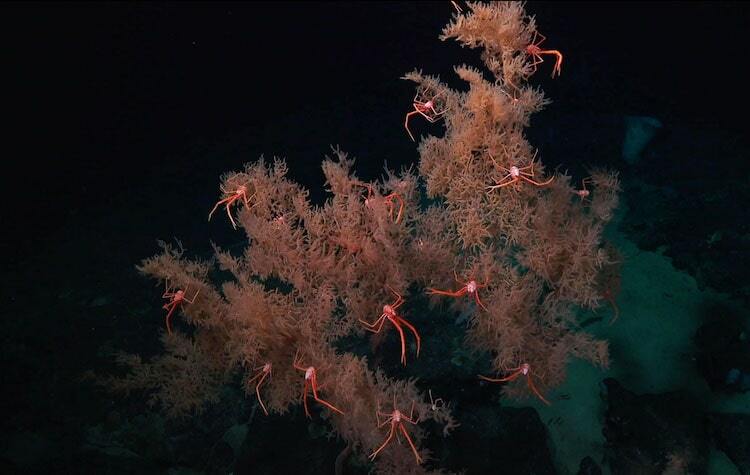 Here is a deep sea coral (with polyps fully extended) and a associates, including brittle stars. An octopus seen at 320 meters (1,050 feet) depth. 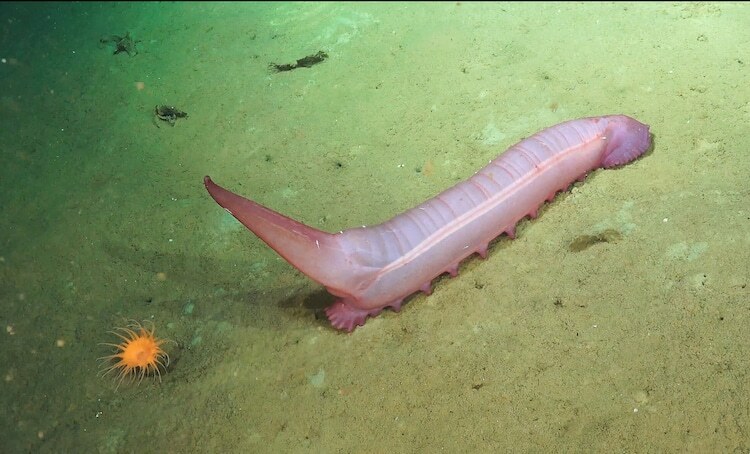 An abyssal sea cucumber feeds, sifting through sediment, near an anemone at 3,521 meters (~2.2 miles) deep. An Anglerfish at a depth of 320 meters (1,050 feet). 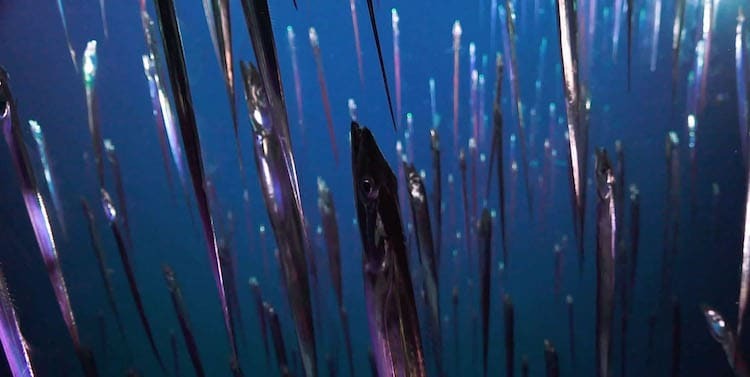 Unfortunately, they also discovered human trash over two miles below sea level, making their work to preserve the fragile ecosystem all the more urgent. An accumulation of trash discovered at a depth of 3,600 meters (more than 2 miles) during one of 19 remotely operated vehicle dives. All images via Schmidt Ocean Institute. The post Researchers Discover New Species in the Deep Seas of Costa Rica appeared first on My Modern Met.